Queen will train new, young, and inexperienced vigilantes and test them to pick up the best recruits. He will find out whether they can take it or they just have the feeling to save their city. So, we can expect a lot of training sessions. Below are our prediction and official synopsis by the network. Moreover, Wendy Mericle revealed that Cutis would transform into Mr. Terrific this time around. So, we will see his journey of transformation and step up to the plate. As of now, Oliver won’t be able what Curtis may be trying to make him see his plan as Queen is highly engaged in the training. 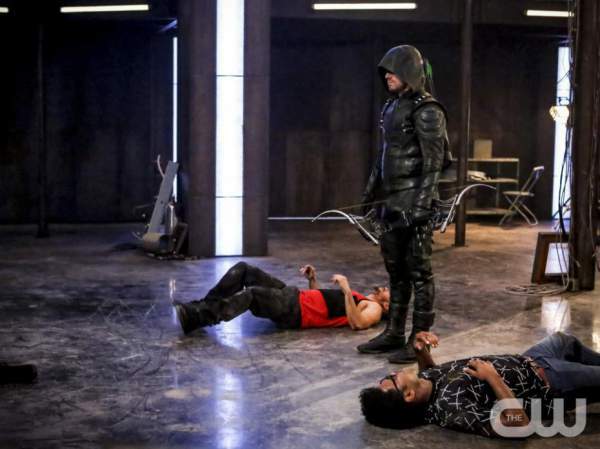 Though Wild Dog (Rick Gonzalez) may have more experience than Curtis, still he will find Green Arrow’s training too much to handle. Is this the new team Arrow a temporary replacement until the old one step back into the fray? Arrow Episode 2 of Season 5 will return on Wednesday, October 12 on the CW. Stay tuned.